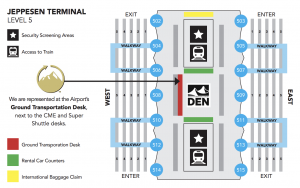 Breckenridge to/from Denver International Airport is available around the clock from Plan B Transportation. Our vehicles are available to meet your transportation needs and schedule. Plan B offers luxury private ski resort transfers between Breckenridge, Denver International Airport, Eagle County Regional Airport, and other area ski resorts in Colorado. Photo: Near Main Street, a few of Breckenridge’s ski trails can be seen in the background. Breckenridge’s 5 peaks extend well outside the field of view of the camera. Breckenridge is consistently ranked as one of the top skiing and snowboarding destinations in the US. In addition to over 2300 acres and 5 peaks, Breckenridge is a 150 year old mining town with historical landmarks to explore and extensive variety in apres-ski activities for families, couples, and groups. Plan B Colorado Mountain Transportation offers custom Breckenridge airport mountain transportation service for any size family or group. Our Mercedes-Benz Sprinter luxury vans feature seating for up to 11 passengers with full luggage and plenty of room for everyone’s ski & snowboard equipment. 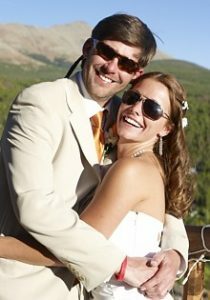 Additionally, Plan B Transportation provides local around town transportation services between Colorado area resorts and dinner transfers once you have arrived in Breckenridge. Let our experienced drivers carry you over the mountain passes in our private, luxury vans to Breckenridge or other nearby resorts including Vail, Beaver Creek, Copper Mountain, and Keystone. Please email us or call our toll-free number to discuss your transportation needs or visit our rate page for pricing on transfers to and from some of our most popular destinations.